It is the Arctic's strategic location, not the presence of any natural resources, that creates a real risk of future confrontation, or at least of the United States using force in the scenarios discussed above. The retreat of Arctic ice in the years ahead will gradually create larger areas of 'high seas' - or, in the case of the Northwest Passage, a more navigable stretch of 'internal waters' - that ships from all over the world will be able to use. The danger comes when ships from a country that the United States regards as a rival, competitor or enemy assume a stronger presence, even quite innocently, in a way that might be viewed as a potential threat to American national security. So Chinese or Russian warships can not only sail through high seas but also have 'innocent passage' through the territorial sea that lies adjacent to the coast and a right of peaceful 'transit passage' through any strait that is deemed to lie within the internal waters, territorial sea or economic zone of any coastal state.28 Yet for a country that has historically had such a keen, even exaggerated, sense of its own vulnerability, the prospect of so many foreign ships in its own backyard, or in such a strategically sensitive area, might be very alarming. Although this danger would exist even if the Arctic has no important natural resources to boast of, the likely presence of oil, gas and minerals might make matters significantly worse. In the coming years it is possible that Chinese or Russian energy companies could establish a presence in a petroleum-rich place like Greenland, causing serious concern in Washington of a wider political alliance or even a military takeover. Just as Beijing has established close links with African countries, Pentagon analysts might reason, so too could it do the same in America's strategic backyard. While in commercial terms Washington might even welcome Beijing's investments in the Arctic region, it is likely to be alarmed by the prospect of a growing physical presence in the region that those commercial investments bring. Whether it is Chinese personnel on the ground, or ships moving to and from key installations, this growing presence in such an important strategic region could arouse America's strong sense of strategic vulnerability. Judging by the lack of any preparation in the Pentagon, this eventuality still looks a very long way off. In the 1990s, the United States Navy did spend up to $25 million every year on polar research, and in early 2001 warned that its weapons, ships and procedures were completely ill-suited to the extreme climatic conditions of the High North. 'Safe navigation and precision weapons delivery capability', the report stated, 'may be significantly constrained unless these shortfalls are addressed.' But after the attacks on the World Trade Center in September 2001, spending priorities were completely changed and the navy's budget for polar research was suddenly and dramatically slashed. Healy is used in the Arctic region, mainly on scientific missions, it is not designed to crush the thickest ice. Senior commanders want at least two more icebreakers and point out that the Russians, by contrast, have 18 and Canada, six. By the summer of 2008, some American military chiefs had certainly started to become seriously concerned by the climatic changes in the Arctic, recognizing the strategic challenges it might pose. In April, the leaders of the Pentagon's Pacific Command, Northern Command and Transportation Command wrote directly to the Joint Chiefs of Staff in Washington and urged them to spend more money and concentrate more attention on the Arctic region. At the same time Admiral Thad W. Allen, the head of the coast guard, also advised a House of Representatives committee that the United States Navy needs more icebreakers to match the Russian capability in the region: 'I am concerned we are watching our nation's ice-breaking capabilities decline', as he told the House Transportation and Infrastructure Committee.36 Not only is Russia's fleet bigger, he pointed out, but it is also nuclear-powered and better equipped. In particular, the newly commissioned Russian vessel, 50 Let Pobedy ('50 Years of Victory'), which is the biggest icebreaker in the world, can power its way through more than 9 feet of solid ice without slowing down, whereas any ice thicker than 6.5 feet holds up its strongest American counterpart, the diesel-powered Polar Sea. 'We are losing ground in the global competition', as Allen told the committee. Rick Larsen was one of the congressmen who concurred, arguing that 'despite the Coast Guard's best efforts to prepare for future operations in the Arctic region, they do not currently have the assets and the capabilities necessary to perform the most basic of Arctic operations'. 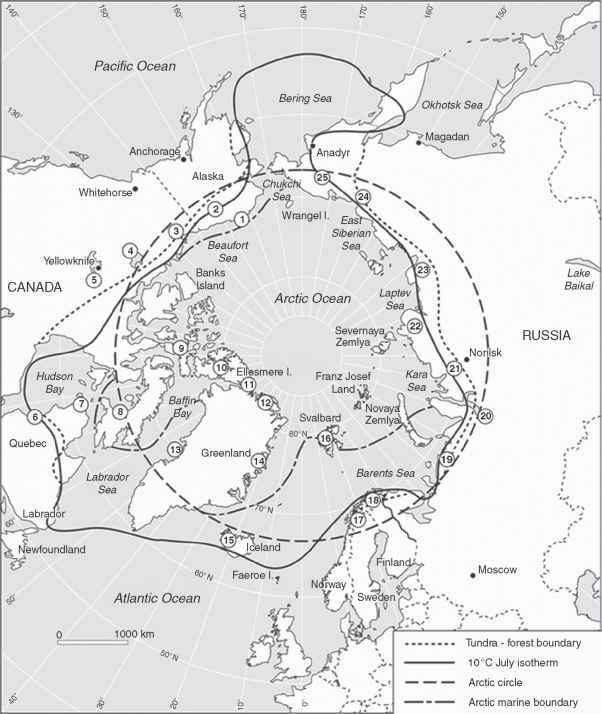 Their pleadings appeared to have reaped some rewards when, in January 2009, President Bush issued a new directive on the Arctic region, the first since 1994.37 This emphasized that the United States should 'develop greater capabilities and capacity, as necessary, to protect United States air, land, and sea borders in the Arctic region (and) increase Arctic maritime domain awareness in order to protect maritime commerce, critical infrastructure, and key resources'. How quickly President Barack Obama will act upon these recommendations remains to be seen.